A designer's clutter-free kitchen in Lexington. 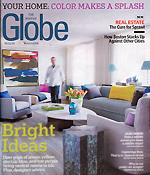 Designer Rachel Reid's own kitchen was featured in Boston Globe Magazine. Rachel Reid was featured in How to Embrace the Heavy Metal Trend in Your Home. 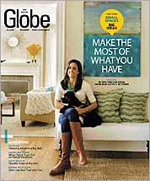 Rachel Reid's Lexington home was featured in the February 22, 2009 edition of The Boston Globe. We were asked to draw on the latest trends to create visionary tablescapes for festive outdoor dinner parties in the August 2008 Design New England magazine. 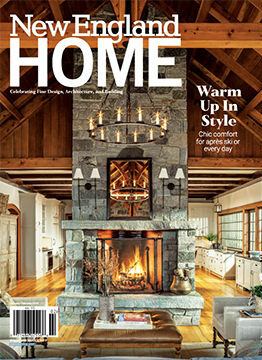 Our work for best-selling author Arthur Golden was featured in the November 2005 issue of Home magazine. 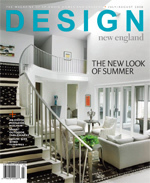 A design with complex neutrals was featured in the February 12, 2006 edition of The Boston Globe.